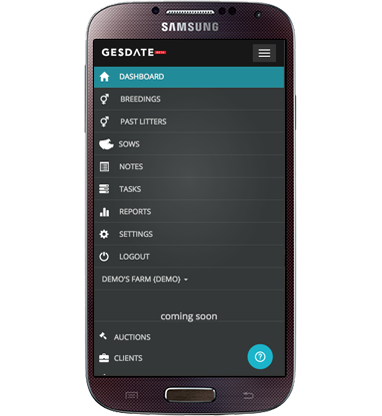 Designed specifically for purebred and show pig producers, GESDATE is a herd management platform available on your smartphone, tablet, or any web enabled device. Your Farm, Anywhere, Anytime. GESDATE will help you manage your herd and track your sows, breedings, sales, etc... intelligently. 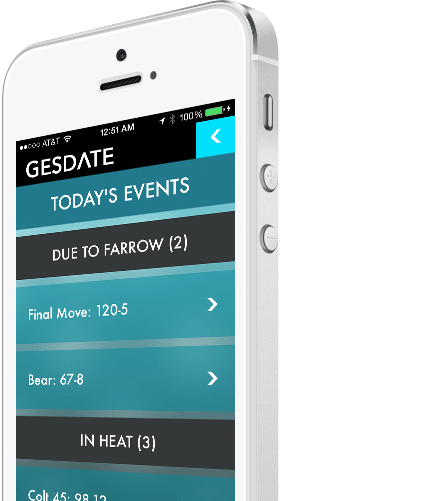 GESDATE will empower you to make smarter decisions, plan better, and save time. Breeding and raising purebred/show pigs and making a profit can be difficult. Using the right tools will make you successful. GESDATE is that tool! Discover & Explore on any device absolutely free today! 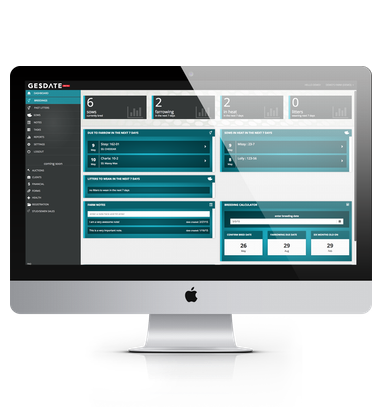 Now anyone can experience the power of GESDATE online with your smartphone, tablet, or any web enabled device through the new GESDATE farm portal. Your Farm, Anywhere, Anytime. 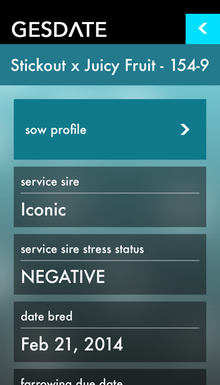 All of the incredible herd management features in the GESDATE iOS App are now enhanced in an intuitive, simple web based design with extended features including printable reports. 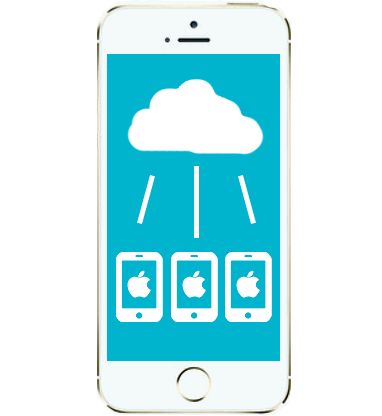 And the best part is that GESDATE stays in sync across all of your devices and allows you to share your data with any GESDATE premium subscriber using our FarmSync™ technology! 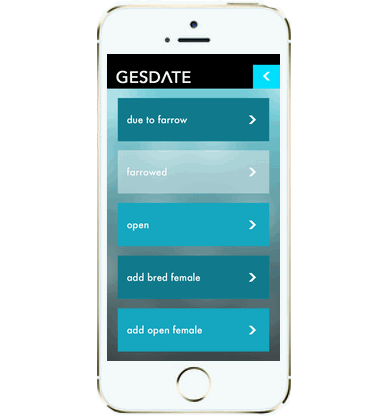 Now you can use GESDATE on your android phone or tablet. Just browse to the GESDATE web portal from your android device, sign in and you're up and running on GESDATE! Safe. Secure. Failproof. GESDATE archives your data safely and securely on your phone; as well as in the cloud automatically every time you connect to the internet and open GESDATE. Work smarter, not harder. 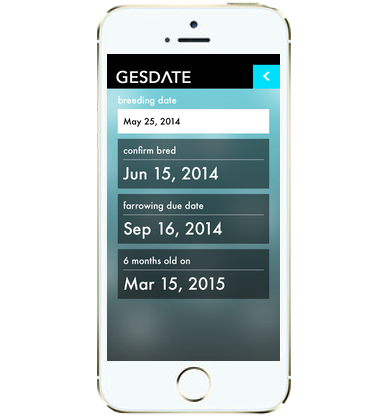 Simply plug in your breeding date and the GESDATE calculator will do the rest. GESDATE will quickly calculate the confirm bred date, farrowing due date, and the date when the litter will be six months old. A simple and clean herd management tool at your fingertips. GESDATE makes it easy to track your herd as you plan, breed, vaccinate, farrow, and track your litters and individual pigs from conception to sale day. Intelligently designed, GESDATE replaces spiral bound notebooks, pocket notes, whiteboards, or your lost scribbled down plans on the back of your boar catalog or Seedstock Edge. Your entire herd is now in the palm of your hand. Sharing your herd data with your entire team has never been easier. 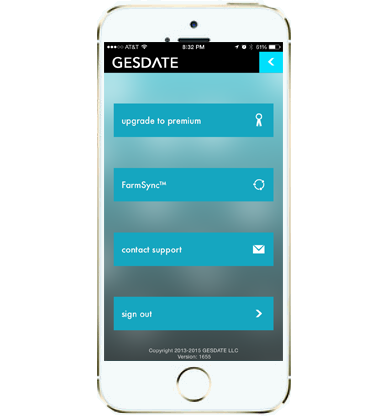 Using GESDATE, any changes made by any member of your team with a GESDATE premium account will automatically be updated in each team members GESDATE app on their phone. GESDATE makes shared management of your herd between multiple individuals easy to use and maintain; saving you time and money! 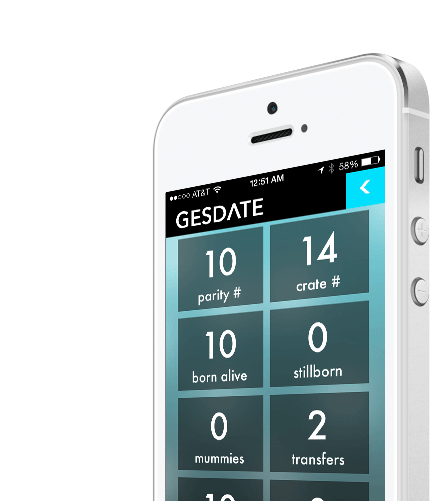 GESDATE will track breedings, farrowing dates, litter information, vaccinations, sales, and more. GESDATE is proactive. 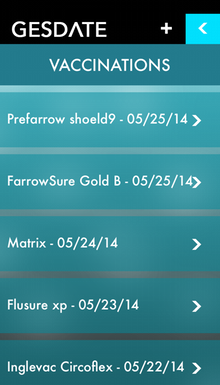 You will automatically receive a daily summary report with notifications about upcoming heat cycles & farrowing dates. 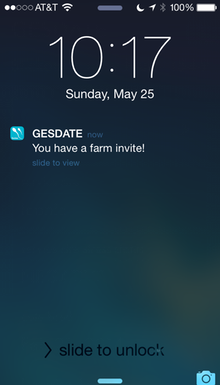 GESDATE allows you to share information with everyone on your team instantly! Each team member that has a GESDATE premium account will be able to go in and update data about your herd from their own device! You can use GESDATE from any device that has a modern browser. This includes your android phone, tablet, desktop, and laptop! Like sticky notes but better! 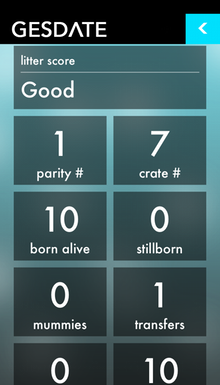 Everyone with access to your farm can create and update notes. We have a robust set of reports that show you exactly how your herd is performing. Sales, litter logs, farrowing summaries, monthly outlook, and lots more are included. You can view these reports on your computer or print them out. With FarmTasks you can assign tasks to anyone that has access to your herd. You can see a dashboard of tasks along with their status from from our web portal. Track the vaccinations that you've used in your herd. You can track by sow, by litter, or by individual pig.